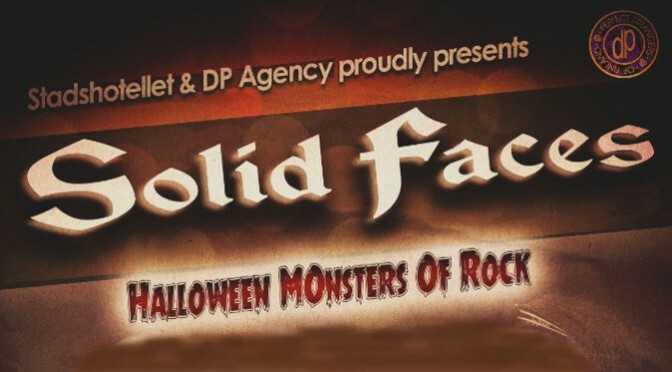 Solid Faces plays live @ Halloween Monsters of Rock party 2014 . 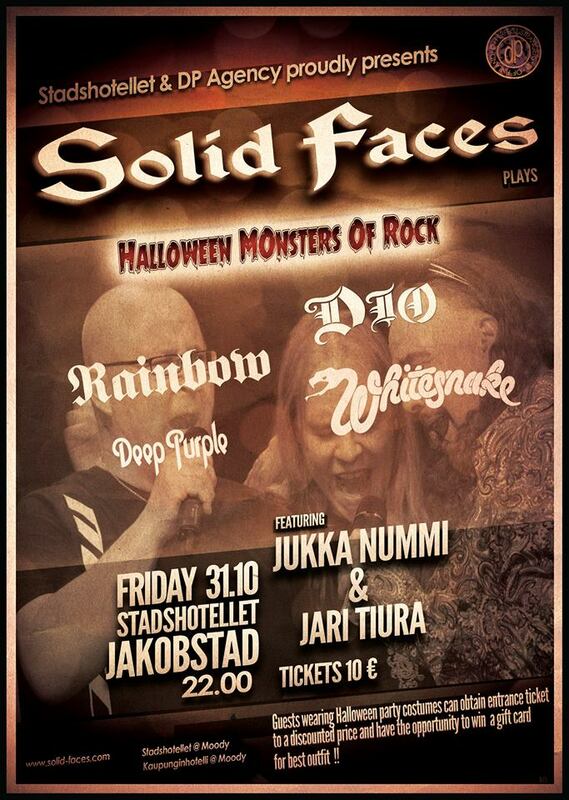 Featuring guest vocalists are Jari Tiura and Jukka Nummi. Guests wearing Halloween party costumes obtains entrance ticket to a discounted price and have the opportunity to win a gift card for best outfit! 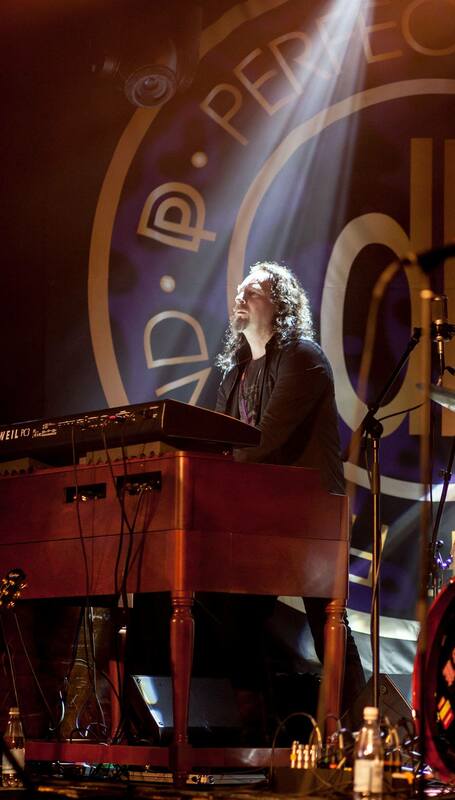 Jari Tiura, ex. Michael Schenker Group vocalist (2006-2007) and now handles the vocals in Stargazery. 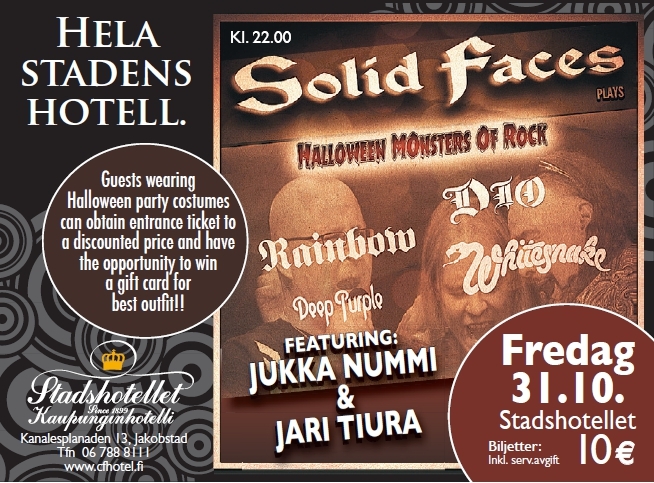 Jukka Nummi are the vocalist of Scarlet Thread, Angry Machines and Stargate etc.